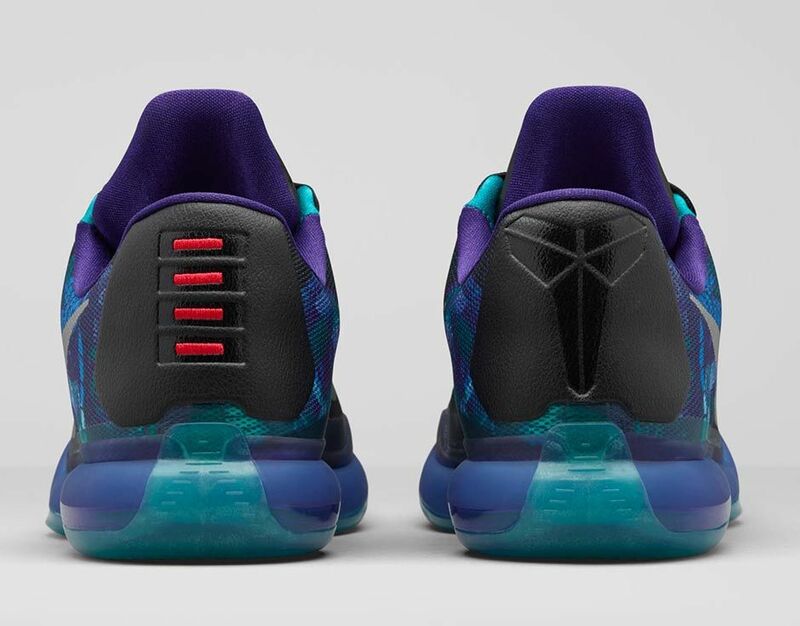 Kobe Bryant always tries to overcome the odds and Nike Basketball color designers decided to take inspiration for the Nike Kobe X ‘Overcome’. 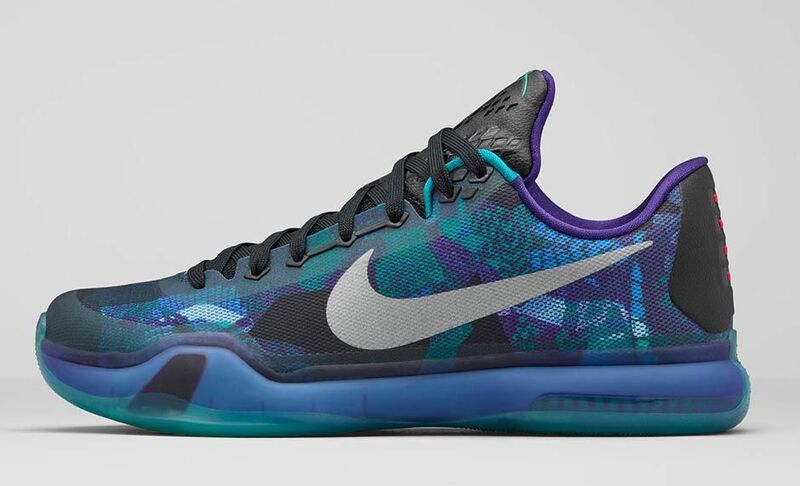 The shoe has a unique pattern on the upper that mixes Emerald Glow Green, Court Purple and black together with Reflective Silver on the swoosh. 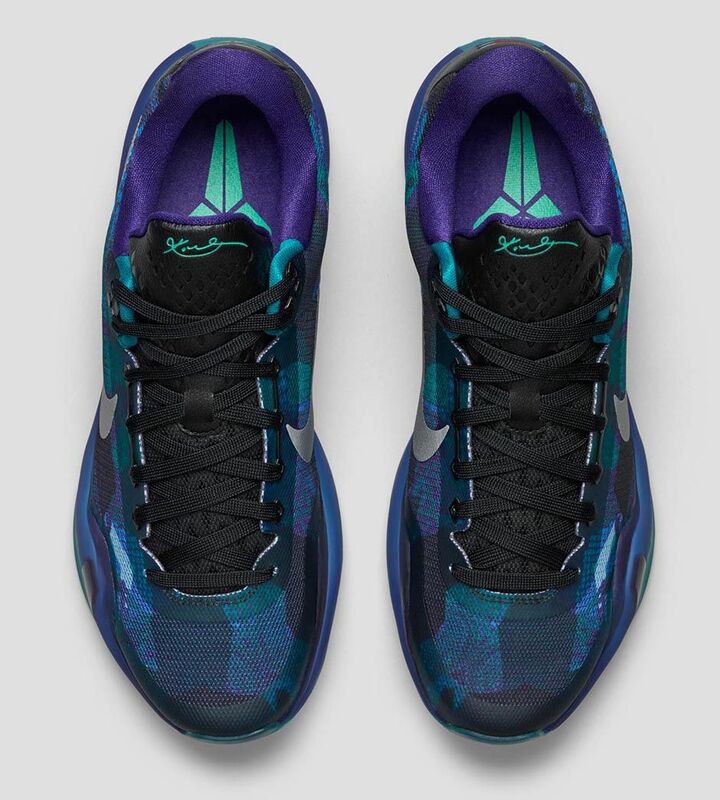 The colorway looks a bit familiar, with the Hornets connection possibly being a secondary source of inspiration. 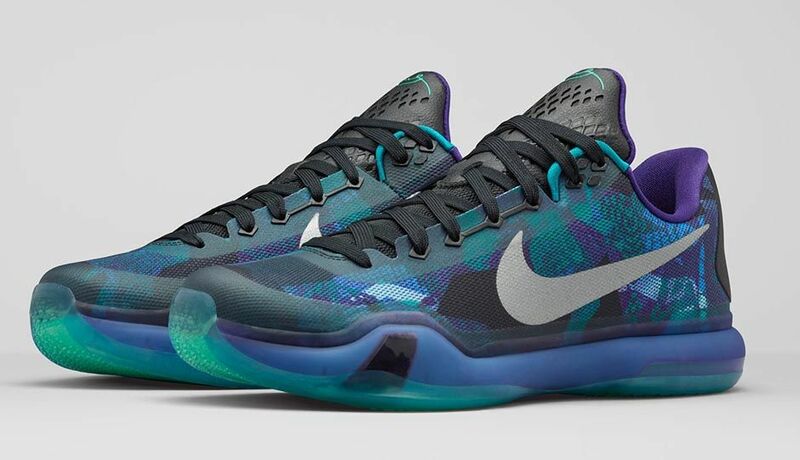 Previous Kobes had a ‘Draft Day’ colorway to show the Charlotte Hornets team that originally drafted him and traded him to the Lakers. Their inventory systems must think these are the “Peach Jams” which justifies the higher price. Nike merged the ‘5AM Flight’, ‘Blackout’, and Vino into one shoe.I like them even though I own the 1st two colorways. 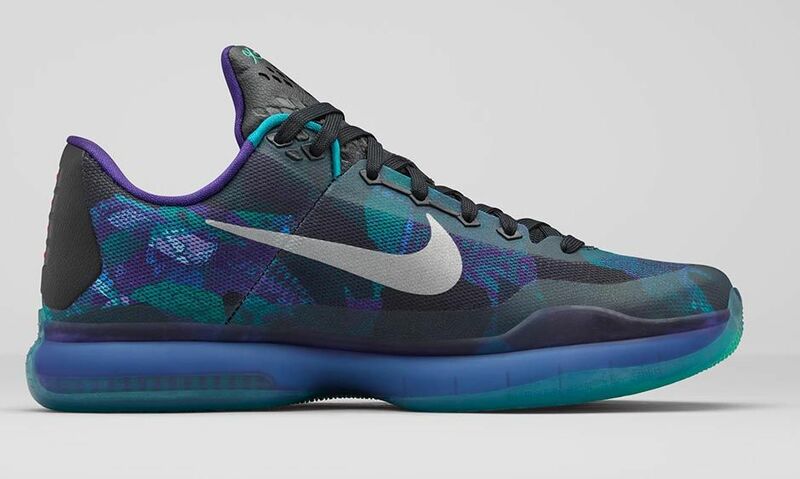 Best colorway of the Kobe X yet.